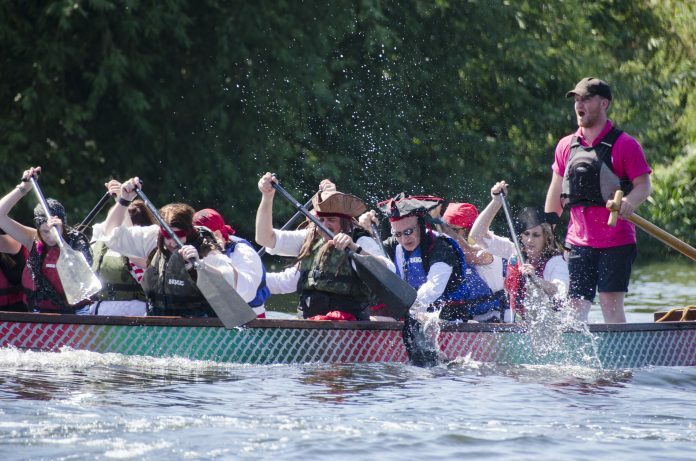 Ashby based office design and fit-out specialists Blueprint Interiors have won the coveted Charity Prize at this year’s Dragon Boat Challenge after raising over £1,600 for Rainbows Hospice for Children and Young People. 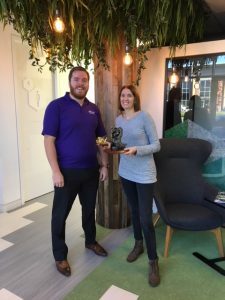 The prized dragon trophy is given to the team which raises the most money for Rainbows at the event, held each August in Nottingham as part of the Riverside Festival, and now has pride of place at the company’s Head Office at Ivanhoe Business Park in Ashby-de-la-Zouch where Blueprint Interiors design create and fit out office interiors which help clients transform their workspaces. Not only did Blueprint Interiors ‘sail’ away with a trophy for the most raised for Rainbows, but they also picked up the prize for the best fancy dress on the day – having competed in every race dressed as pirates. 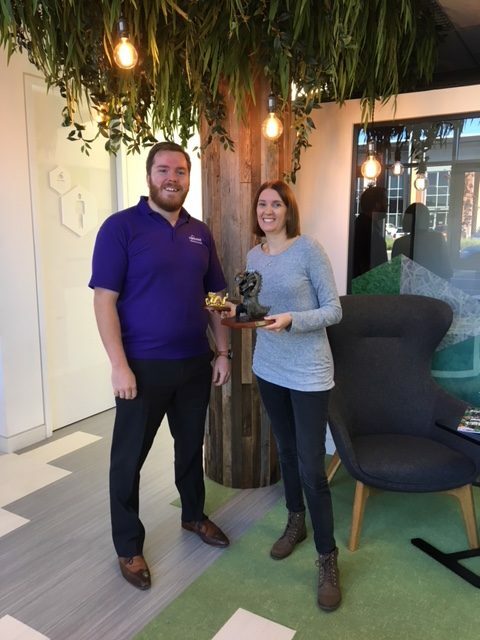 Tom Stanyard from Rainbows and Rachel Biddles from Blueprint with their trophies.